Hasbro’s crowd funded Sail Barge endeavor could be in trouble as the pace of new backers has stalled significantly over the past week. Is now the time to panic? Or is that a bit premature since there’s still 4 weeks left? Are you planning on fronting payment for one? Let us know here or in our forums. 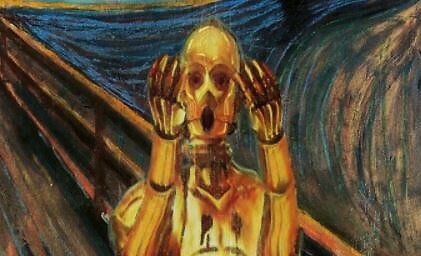 Note: You can check out some other cool Star Wars inspired famous painting alterations here. Then after that, Hasbro would like for you to bow before the mighty Jabba the Hutt and fund his pleasure cruiser at HasLab.